Hakki Pilke user of the month in February is Anders Wallberg from Sweden. He was our first Easy 43 (43 Pro) customer in Sweden and has done over 2.000 cubics of firewood with this unit. 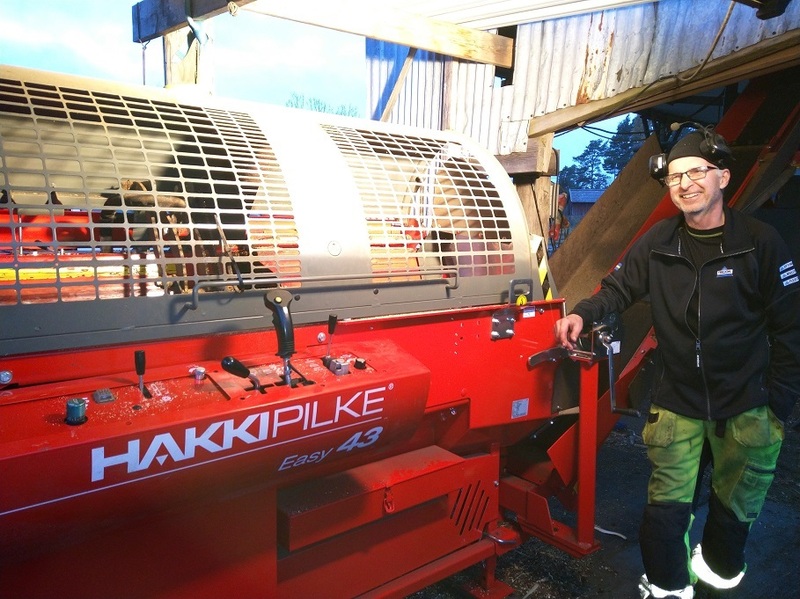 Anders is a long-term Hakki Pilke customer since 1996 when he bought the well-known 2X firewood processor. During the years he has updated his machine many times, from 1X37 to 1X42 Green Speed. Anders thinks that the Easy 43 (43 Pro) has been definitely the best firewood processor to this day. Anders has been really happy with the development of machines and praises especially the HakkiCutTM cutting control and the log landing plates. HakkiCutTM is an effortless, ergonomic and efficient user interface that enables sawing with a single press of a joystick but-ton. The log landing plates ensure that the log pieces are dropped into the splitting section in a controlled manner. Congratulations to Anders on winning Hakki Pilke product package! We hope you continue to be a part of Team Hakki Pilke for the next 20 years also!